An online pharmacy that bills itself as Canada's largest is expected to be fined $34 million Friday for importing counterfeit cancer drugs and other unapproved pharmaceuticals into the United States, a sentence that one advocacy group called too light for such a heinous crime. Canada Drugs has filled millions of prescriptions by offering itself as a safe alternative for patients to save money on expensive drugs, and its founder, Kristian Thorkelson, has been hailed as an industry pioneer for starting the company in 2001. But U.S. prosecutors say Canada Drugs' business model is based entirely on illegally importing unapproved and misbranded drugs not just from Canada, but from all over the world. The company has made at least $78 million through illegal imports, including two that were counterfeit versions of the cancer drugs Avastin and Altuzan that had no active ingredient, prosecutors said. After more than two years of struggling to get the international company to appear in U.S. court to face the felony charges, Canada Drugs and Thorkelson, struck a plea deal with prosecutors late last year. On Friday, a judge in Missoula, Montana, will decide whether to approve federal prosecutors' recommended sentences that include $29 million forfeited, $5 million in fines and five years' probation for Canada Drugs. The recommendation for Thorkelson is six months' house arrest, five years' probation and a $250,000 fine. Canada Drugs also will permanently cease the sale of all unapproved, misbranded and counterfeit drugs and will surrender all of the domain names for the myriad websites it used to sell the drugs, under the deal. U.S. District Judge Dana Christensen has the final say in the sentences, and an advocacy group is urging the judge to impose harsher penalties to deter future crimes. "Counterfeiting oncology medications is a nearly untraceable and heinous health care crime," Shabbir Imber Safdar, executive director of the Partnership for Safe Medicines, wrote in a letter to the judge. "You put saline in a bottle, and when the cancer patient takes it, there is no evidence in the patient of the crime." Safdar said Thorkelson should receive prison time and that Thorkelson's and Canada Drugs' pharmacy licenses should be surrendered. The group also wants Canada Drugs to give up all of it internet domain names, including ones not named in the plea deal, to prevent the company from continuing to sell misbranded and counterfeit medicine. "We feel that being a part of a scheme to sell Americans fake cancer drugs while you profit from it should be sufficient grounds for a long-term revocation of a pharmacist's license," Safdar wrote. Neither Safdar nor two of Canada Drugs' and Thorkelson's attorneys returned messages seeking comment Thursday. Federal prosecutors wrote in court documents that the recommended sentence is appropriate. "The United States believes that the above-referenced sentence in an appropriate one reflecting the seriousness of Thorkelson's conduct, the need for just punishment and adequate deterrence to future criminal conduct," Assistant U.S. Attorney Chad Spraker and Special Assistant U.S. Attorney Paul Joseph wrote. The case is being handled in the U.S. state of Montana, where Canada Drugs bought another company for its drug inventory and customer list when it was expanding in 2009. Canada Drugs continued to deposit money into that company's Montana bank account from doctors' purchase of the illegally imported drugs before the proceeds were shipped to offshore accounts in the Caribbean, prosecutors said. 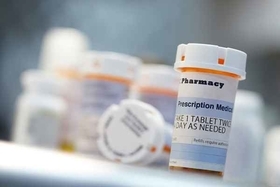 The company and two overseas subsidiaries agreed to plead guilty to introducing misbranded drugs into interstate commerce, and the subsidiaries also agreed to plead guilty to selling counterfeit drugs. Thorkelson agreed to plead guilty to knowing about and concealing a felony crime.